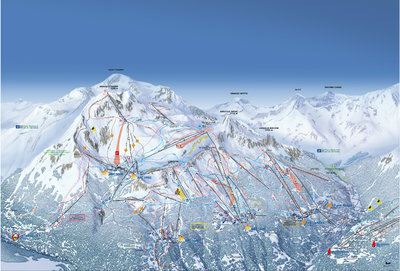 Zoom on glacier area for 2009/10 season. 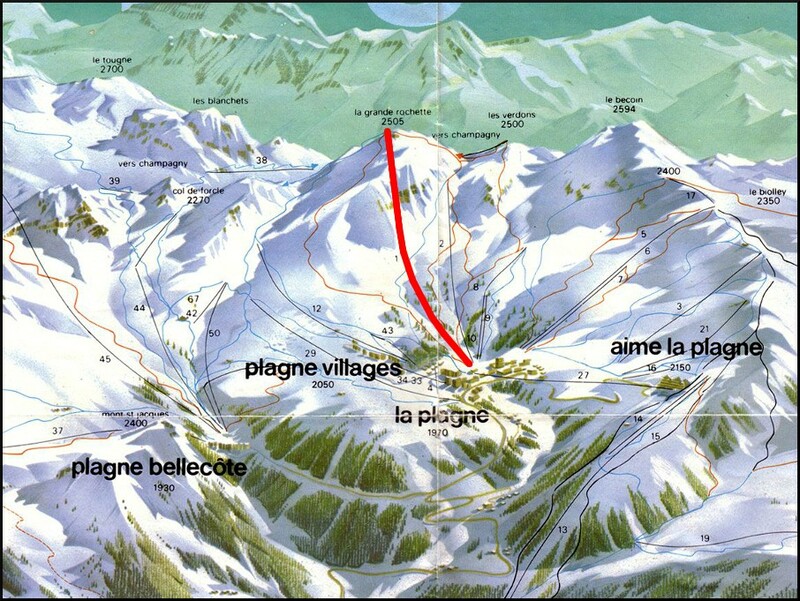 TSF2 Traversée highlighted. 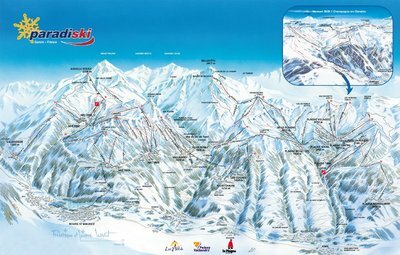 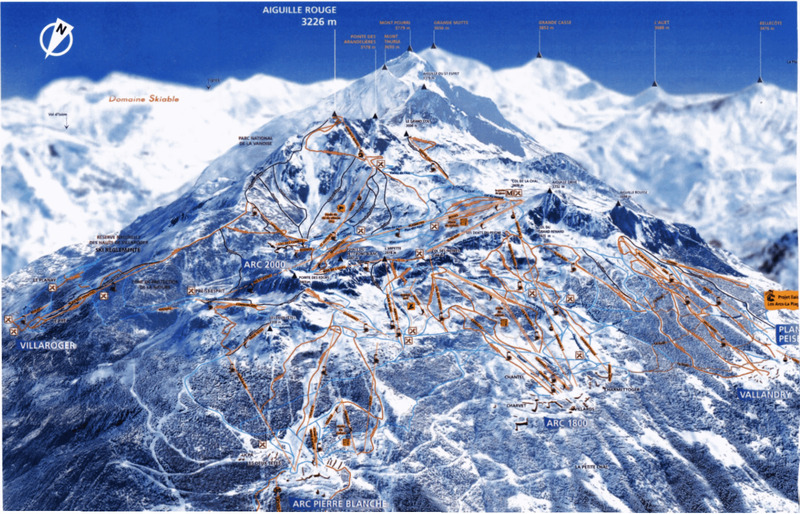 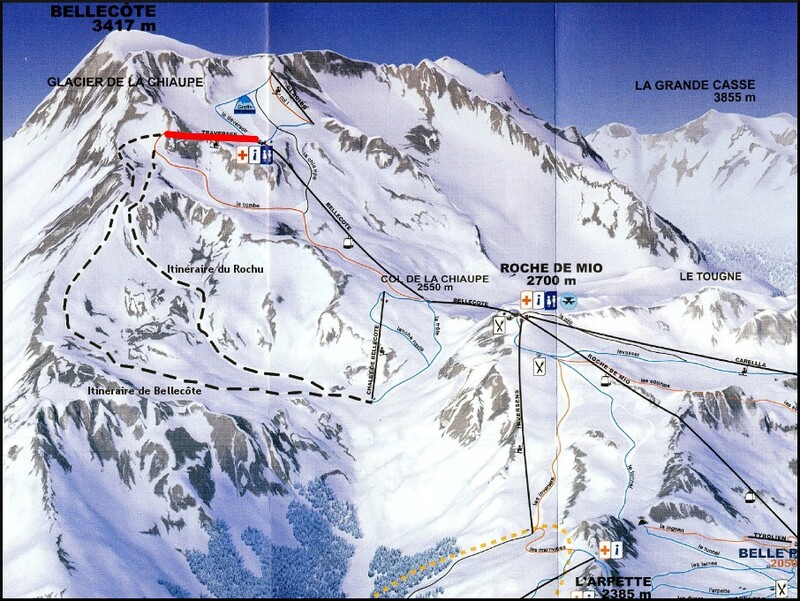 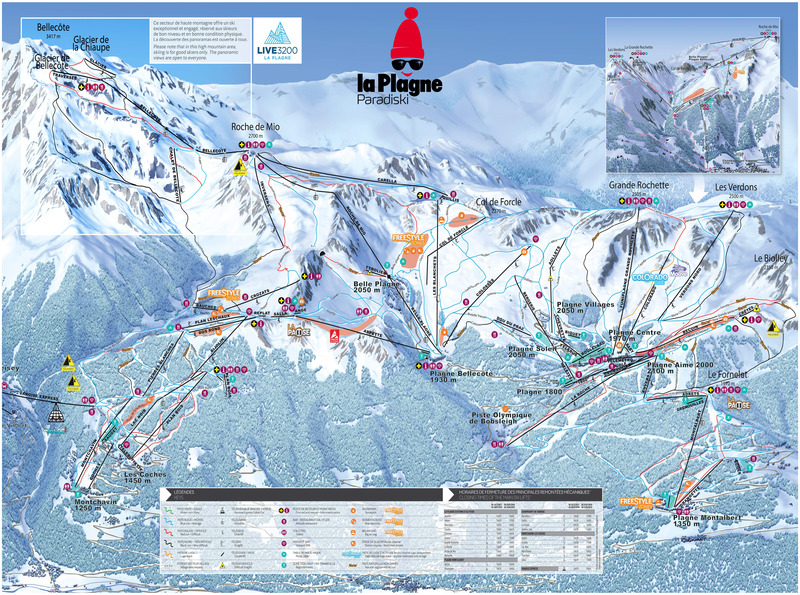 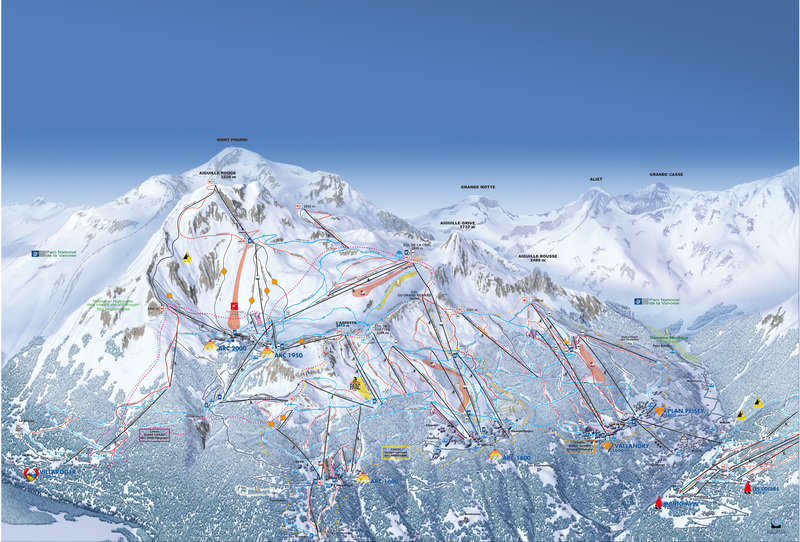 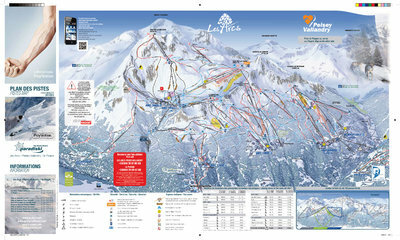 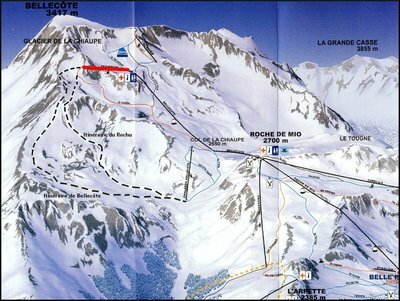 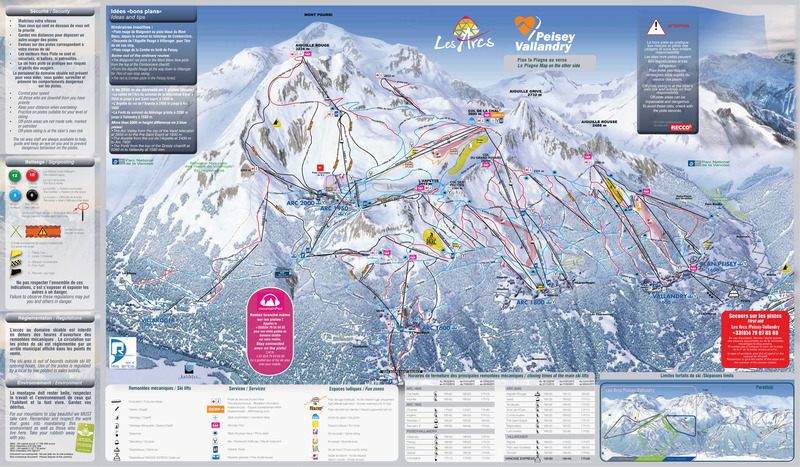 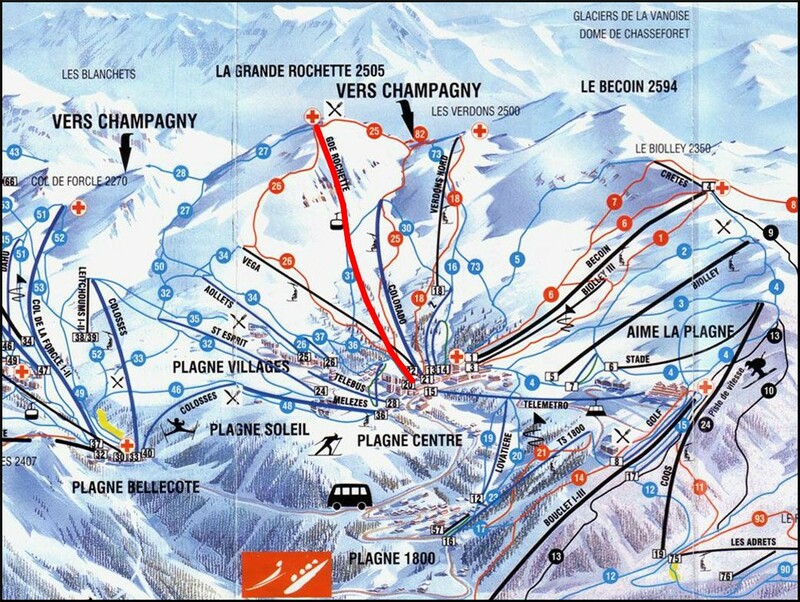 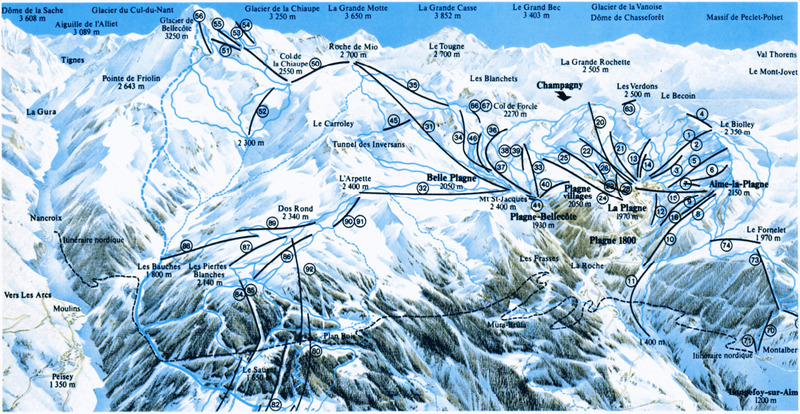 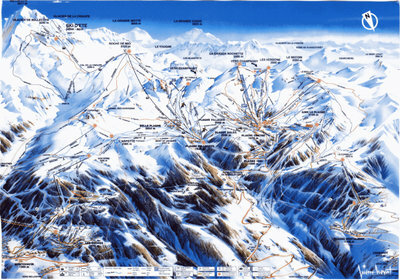 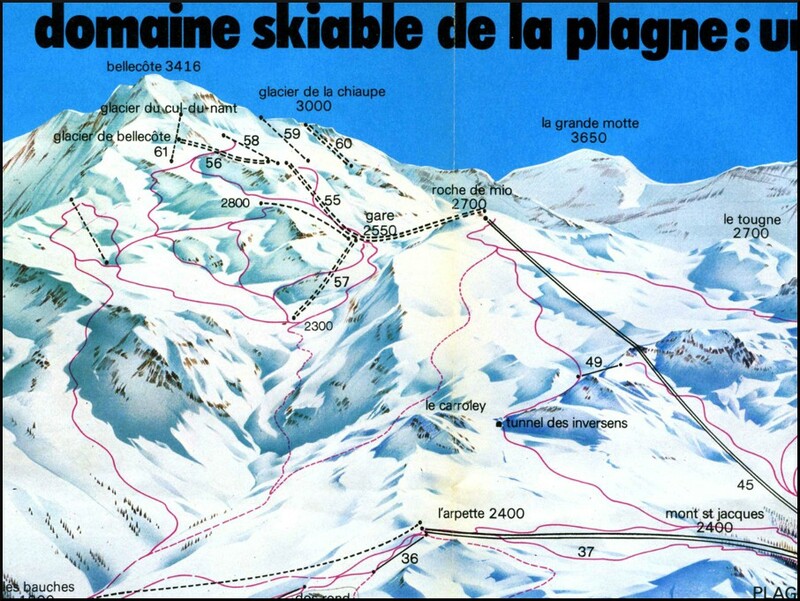 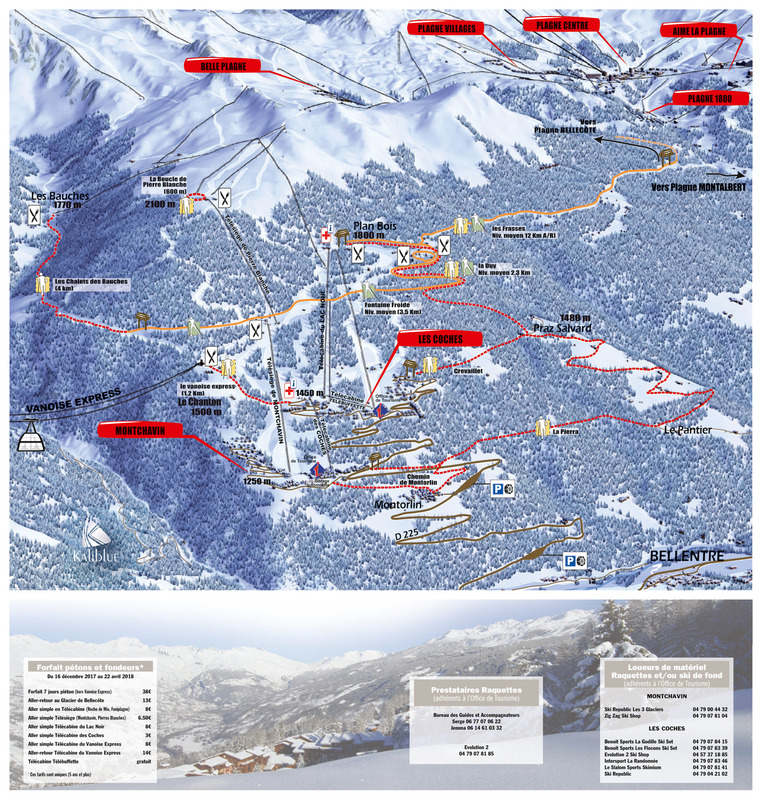 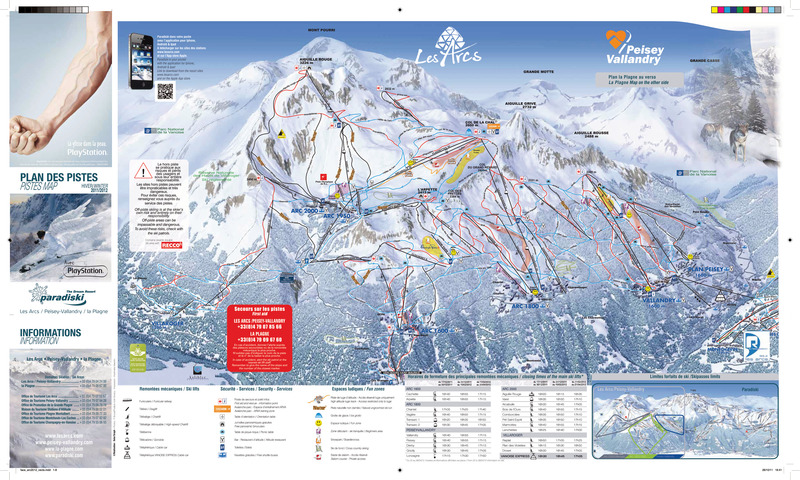 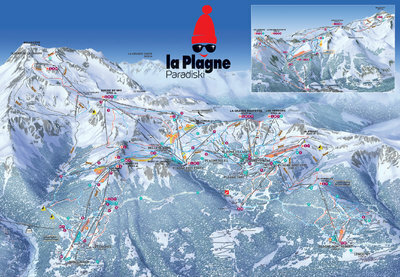 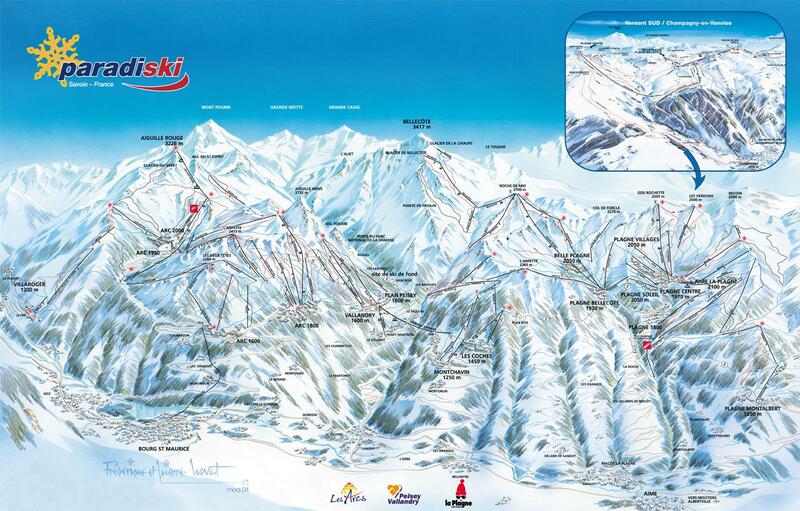 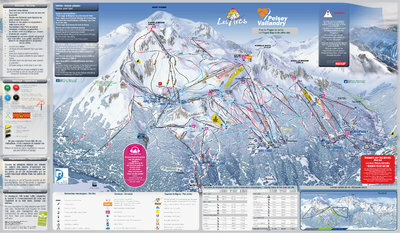 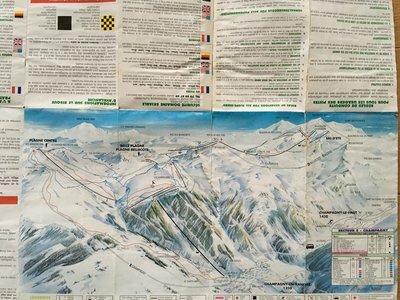 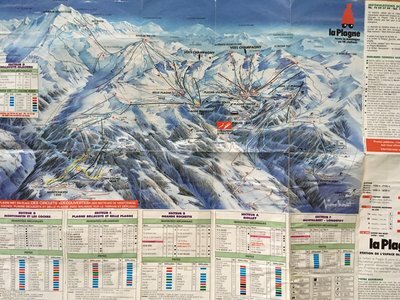 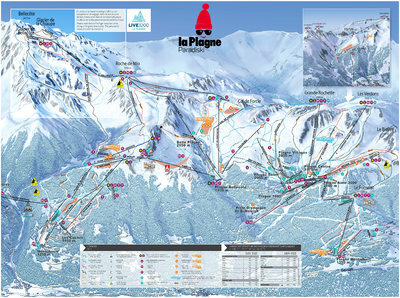 1997/1998 season piste map with Gondola Grande Rochette highlighted in red. 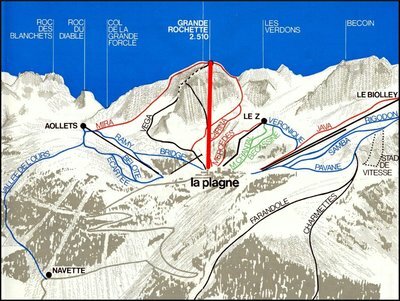 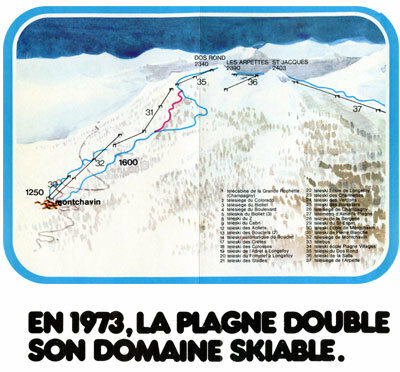 1979 piste map with Gondola Grande Rochette highlighted in red. 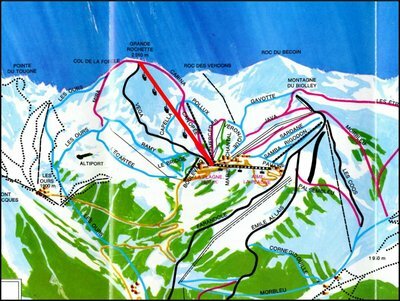 1969 piste map with Gondola highlighted in red. 1966 piste map with Gondola highlighted in red.